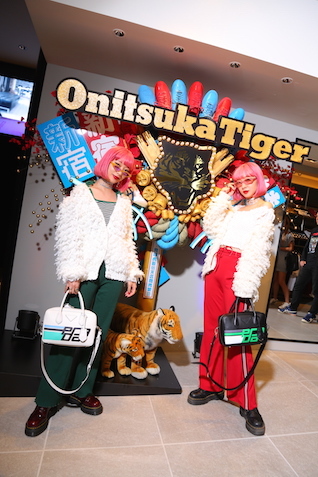 Onitsuka Tiger Shinjuku East opened on June 16th, and they had a reception party the night before that featured all kinds of big names, fashion industry people, models, artists, and more. 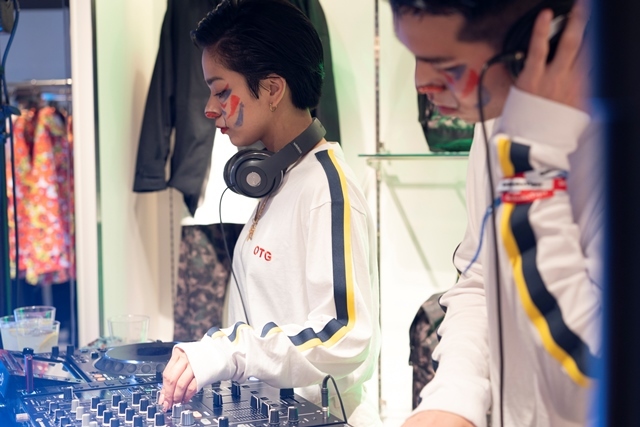 Read on to get the full party report. 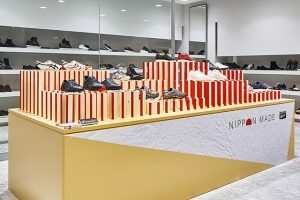 The new store, which is at the street level on Shinjuku-dori by Shinjuku East Exit, is one of the largest in the country. 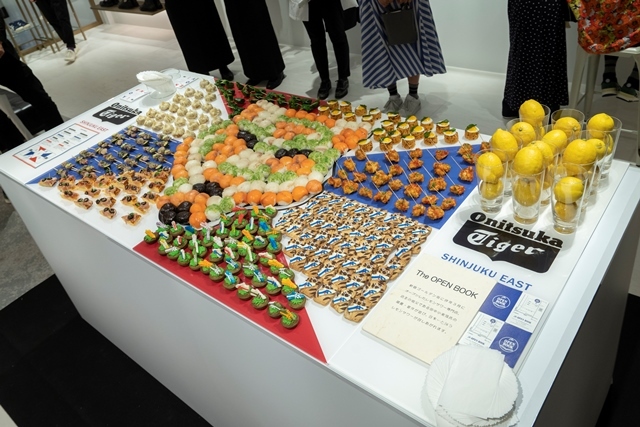 And like the bustling urban area of Shinjuku, which has both old and new, this reception party featured a mix of old and new tiger elements woven together, a special concept which offered a unique Onitsuka Tiger experience with a Shinjuku vibe that you can only find here. The entrances had wreaths with a tiger pattern, and at the 1st floor entrance, an original “Kumade” (bamboo rake) greeted everyone who visited! Shinjuku’s Hanazono Shrine has a festival called Tori no Ichi, which is known for its big two-meter crafted Kumade, and it certainly drew a crowd. Inside the Kumade were several shoes.. 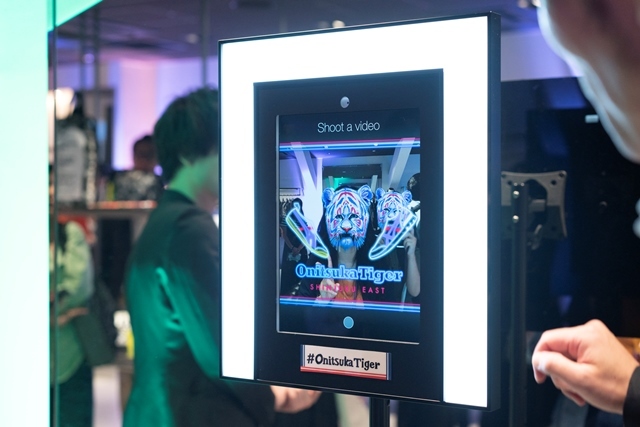 There were also other interesting curiosities, like the SNSnap installation, with a display which reflected people’s images and changed them into tigers, plus a raffle like you’d find at a festival, special gift capsules with toys and prizes inside, an international catering service with food items made in the image of Shinjuku, and other special Shinjuku-themed things. The raffle had fortunes and lucky shoes too! 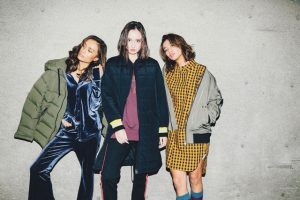 In addition, there were models in attendance, like Youn-a, Marie Iitoyo, Ai Takahashi, Ai Kago, and lots of other big names, so this was definitely an event with plenty of eye candy. 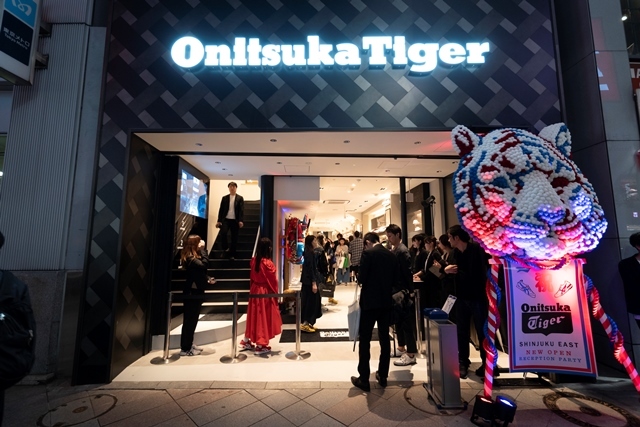 Since Onitsuka Tiger Shinjuku East has three floors, the 1st floor is all shoes, the 2nd floor has the NIPPON MADE series and apparel, as well as the custom order service interface system, and the 3rd floor has the collaboration project line with designer Andrea Pompilio along with apparel and accessories. There’s so much available floor space at this new location, so you’re sure to have a good time picking up some new things for your wardrobe. 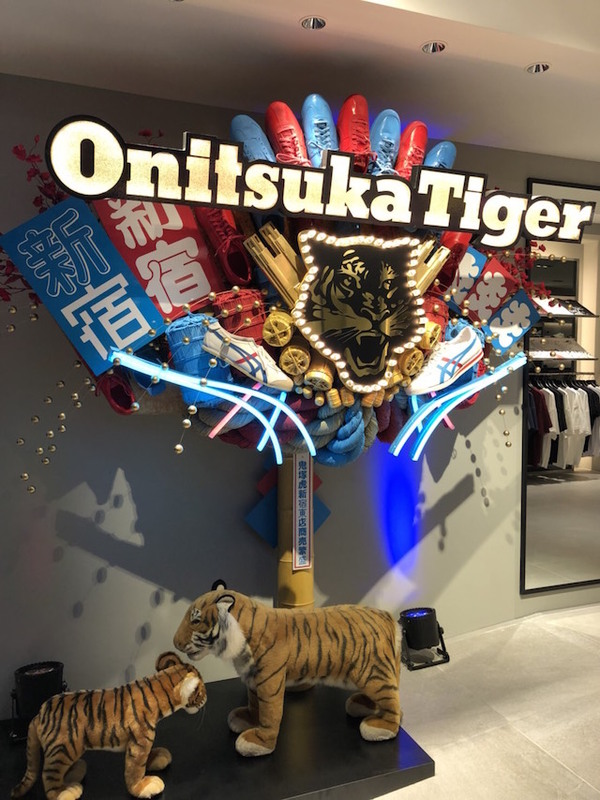 If you’re in the neighborhood, be sure to pop over and say hi to the crew here at Onitsuka Tiger Shinjuku East! 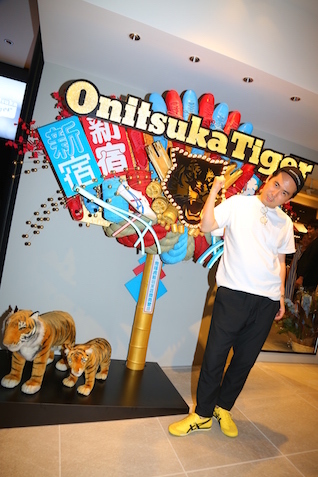 10/12(FRI), Onitsuka Tiger Hiroshima Parco is open!